Choosing the proper abrasion resistant cable will keep your machines up and running efficiently, reduce downtime and allow you to use cable for a longer period of time. 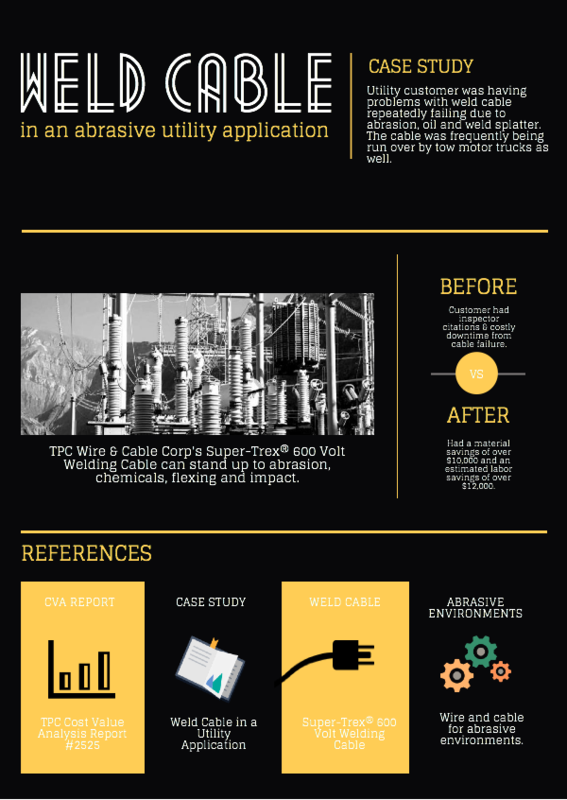 If you're planning on installing an abrasion resistant cable into an application that includes additional harsh environments, such as extreme heat, not to worry. Most abrasion resistant wire and cable products also carry other protective attributes like chemical, extreme heat and moisture resistance. Click here to view our Heavy-Duty Abrasion Demonstration Video.